Each Summer the Island Gymnastics Academy hosts a fun filled, active, gymnastics training camp for gymnasts of all levels, from Beginner to Advanced. 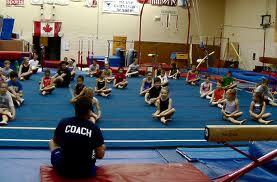 Our objective is to provide quality instruction by teaching the fundamentals in a fun, friendly atmosphere. This summer we will be offering 7 weeks of summer camp for both boys and girls, school age (already been to kindergarten) and up!!! !